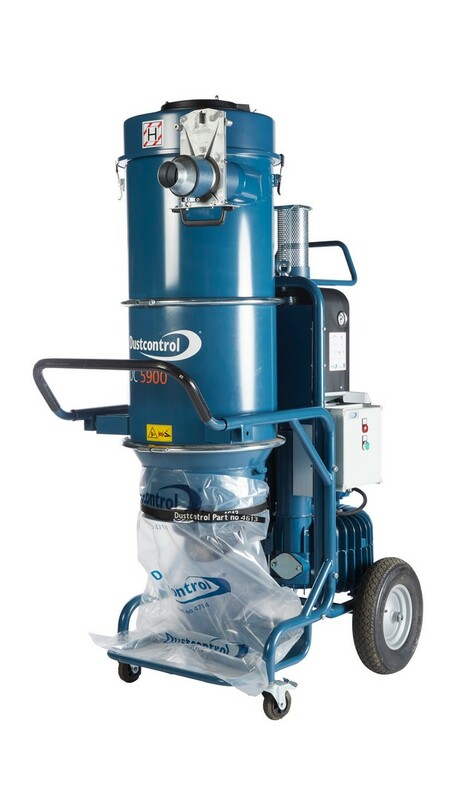 The DC 5900 has a three-phase direct driven turbo pump that is suitable for continuous operation and heavy material transport, source extraction and cleaning. It is mainly used for big hand held power tools and heavy duty cleaning on construction sites. The dust extractor is suitable for two smaller handheld power tools or one larger tool, such as a floor grinder, with a disk of up to 750 mm.